If you have money invested in the stock market, you probably want to keep a close eye on how your stocks are doing. There are lots of websites that will help you do that—but which are the best? Which give you the most information in the easiest-to-read format? We’ve scoured the Internet to find the best places to get stock prices; here are the 10 best. Real-time prices, day and year highs and lows, dividend and dividend yield, revenue per employee, and analyst sentiment (from bearish to bullish) give you a lot of data in a small space on MarketWatch. You can also easily compare the stock you’re looking at with several market indexes to see how it’s doing compared to the markets overall. 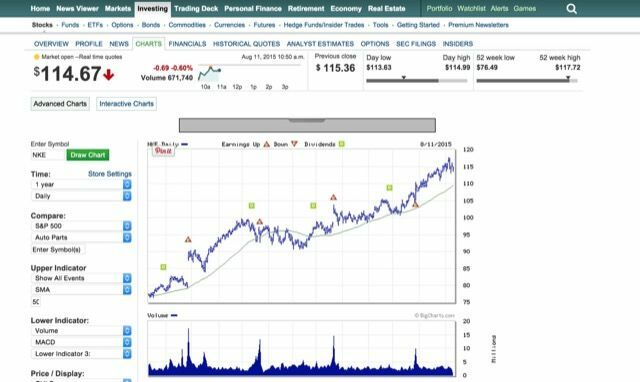 The links near the top of the page give you information on the company, including profitability, capital structure, more charts, analyst estimates, and pretty much any other information you could want. The homepage of CNN Money’s Markets section gives you key data on big gainers; big losers; world markets; the current status of oil, gold, yen, and euro; and US market data. When you enter a stock symbol, you’ll see its real-time price, five-day performance, 52-week range, year-to-date performance, and other useful data, all presented in an easy-to-read, uncluttered format. 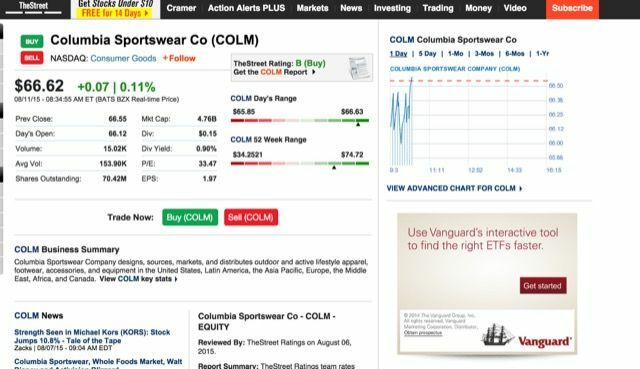 You can also look at news related to your particular stock from the stock page. After entering the symbol of the company you’d like to look up, you’ll get a full report on that stock: the real-time price, day range, 52-week range, the previous day’s open and close, dividend, dividend yield, and more. There’s a useful chart in the sidebar that lets you look at performance on scales from one day to a year. One of the useful pieces of information that you’ll see is TheStreet’s rating of the stock, telling you whether or not they’d recommend you buy. 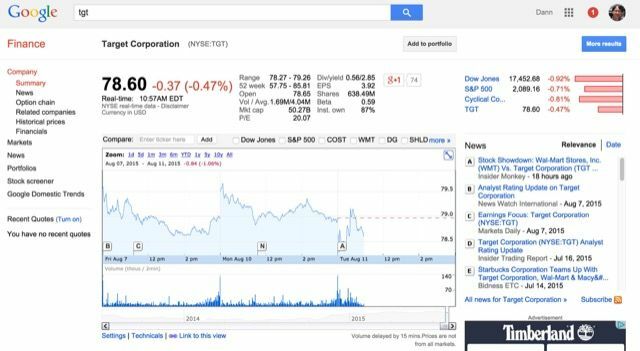 In addition to all of the information you want, like real-time prices, daily and yearly highs and lows, dividends, opening prices, and the ability to compare charts, Google also aggregates financial news from other sites to give you a lot of information form many different sources to help you make smart decisions about stocks. Key stats and ratios, related companies, and financial reports round out this very useful stock page. As with the other sites, you’ll get prices, changes, history data, and market comparisons—but MacroAxis provides quite a bit of advice with each stock as well. By looking at analyst recommendations, past market performance, chance of financial distress, technical analyses, market momentum, and valuations, you can make an educated decision based not only on your perceptions of the stock, but upon how analysts see it, too. The clean interface and very easy-to-use layout make this a great site for getting stock prices for beginning traders and old pros alike. Access to all the stats you want, analyst opinions and estimates, detailed company information, and news means Yahoo! Finance could be the only site you need to watch stock prices online. 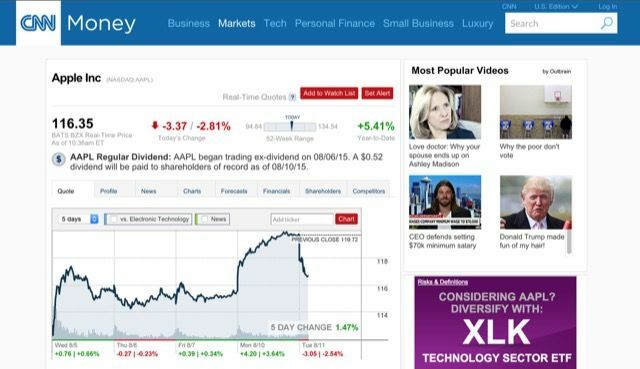 If you want a stock ticker on your desktop, Stock+ is the way to go. You can use it as a desktop or menubar stock ticker, or you can use the full app to get all the stock information you could want with charts, heatmaps, alerts, even tweets from the companies you’ve invested in. You can create custom watchlists for stocks you’re interested in, watch your portfolio, and get loads of historical data. While it lacks the full-featuredness of Stock+, this free app does what it promises: gets you stock prices. It’s small, doesn’t use many of your system resources, and is easy to manage. It even comes with five different themes so you can customize the look. 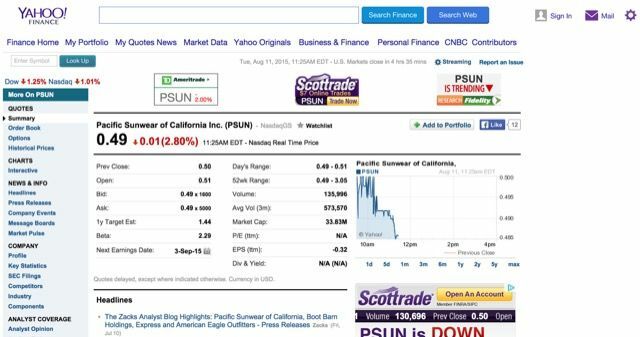 The stock prices are pulled from Yahoo! Finance. 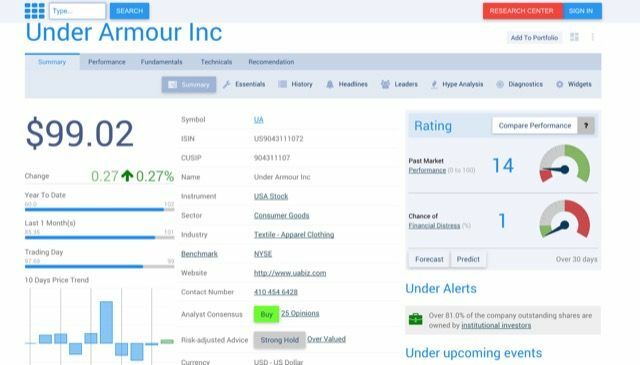 This browser extension shows you real-time stock ticker information—you can get the current price, an indication whether it’s gone up or down, and even four mini-graphs for your favorite stocks. 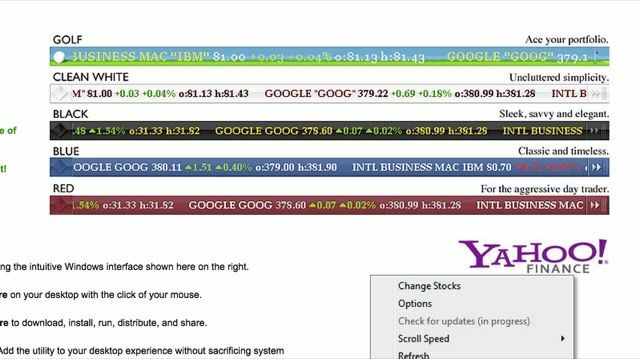 If you want to stay up-to-date on all of your favorite stocks whenever you’re on your computer, this extension is the way to go. These 10 places to get stock prices online will give you all the stock information you could possibly want, through your browser, a standalone app, or an extension. After you’ve learned the basics of investing, you can use these tools to stay on top of your investments. What do you use to keep track of stock prices? Have you used any of these sites or apps? Share your thoughts below! 5 Bible Verses On Finance That Every Christian Should Know!